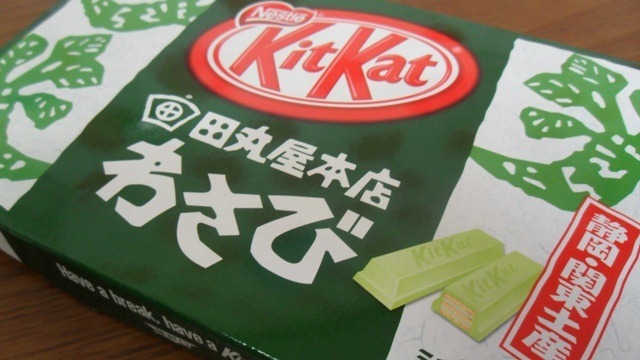 Mythical Wasabi Kit Kat Bars…EXIST! Background: Micah and I went to Japan back in early December 2009. It was a whirlwind trip. But, you may remember, this trip started my obsession fascination with the wonderful world of Kit Kat candy bars. 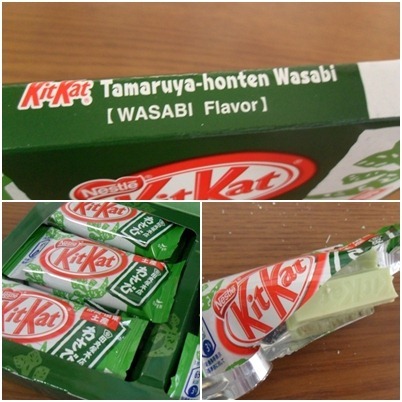 So many flavors I never knew existed…one such flavor being…wasabi! Yes…as in the green pasty blob served with sushi. 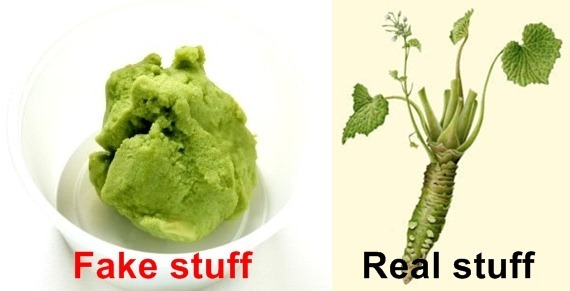 Side note: Real wasabi is a root – albeit, a very expensive root that is grated. The green pasty stuff is a very cheap imposter, but tasty nonetheless. During our short time in Japan (despite numerous, numerous convenience store searches), I never came across the Wasabi flavor. Argh! They definitely have the “bite” of wasabi (toned down quite a bit) – combined with the sweet and crunchy wafer. They are delish (although green tea is still my favorite)! Thank you Mark! Check out his blog here. (He takes some pretty amazing pics). A sidenote about our Japan trip. I was on a mission. A Kit Kat mission. I had found out a couple months ago that Japan has all sorts of different and unusual flavors of Kit Kat bars. I am not sure why the country has settled upon that particular candy – but let’s just go with it. I dragged Micah and Zoe to at least 15 different convenience stores to try and find as many varieties of Kit Kat bars as possible. I was semi-successful. I didn’t see any Wasabi ones (although I know they make them), but did find Green Tea (SUPER DELICIOUS), Royal Milk Tea, Apple, Rose, and Vanilla Wafer. And Zoe gave me a Pickled Plum one too. Here’s my stash. (They aren’t all for me. We brought some back as gifts for teachers and friends here). Green Tea is my favorite so far. I wish the U.S. would start making them!! We didn’t actually meet up with Zoe until 11:30pm Friday night. We dropped off our stuff at the hotel near the train station and headed to the Shinjuku area for some food, shopping, and sightseeing. Our first authentic ramen meal – and it was delicious! 1. Tokyo is all about efficiency. Tokyo is filled with restaurants where you order food from a vending machine. It gives you a ticket – you hand the ticket to the cook, and that’s it. 2. Don Quixote stores are crazy (and a must-see stop). They are 5 or 6 floors of pure Japan kitsch. All sorts of food, knick-knacks, makeup, electronics, etc. Very fun to browse. Where else could you find this? (It’s a pillow by the way). 3. Japan isn’t Korea. The food is different, the people are different – even with 10 minutes of walking around the city, you can tell the difference. Also…it’s WAY more expensive (for just about everything) in Japan. Talk about culture shock! Headed to the Harajuku area in the morning. Unfortunately, since it was a Saturday we didn’t get to witness what Harajuku is all about – which is basically young people dressed up in outrageous outfits, showing off latest fashion styles (apparently they come out on Sundays). Here’s an idea of what it’s like (a pic from the Internet). In the middle of this massive hustle and bustle area is a very large, tranquil shrine – Meiji Shrine. Surrounding the shrine are lush trees, towering gingkos, and well maintained pathways. It’s a popular place for both Japanese and tourists to visit and relax. When we were there, two weddings were taking place. After some shopping, eating, and walking around in the rain, we headed back to the hotel to get ready to meet up with some of Zoe’s friends she’s made while in Japan. It was a really fun night! 1. Japan is crazy about their photobooths. (Apparently Japan is only 1 of 3 countries who have a MAJOR obsession with them). Basic premise: pay some money, take a series of funny pictures, and then digitally jazz them up with funny backgrounds, icons, etc. They come printed out as stickers. Super fun. Only had about 3 hours before we had to catch a train back to the airport. So we walked to Ueno Park. It’s a massive park (think Central Park in NY) that houses shrines, three museums, and a zoo. It was a beautiful sunny day – perfect for exploring the park. Micah and I are off today to visit his sister in Tokyo, Japan. 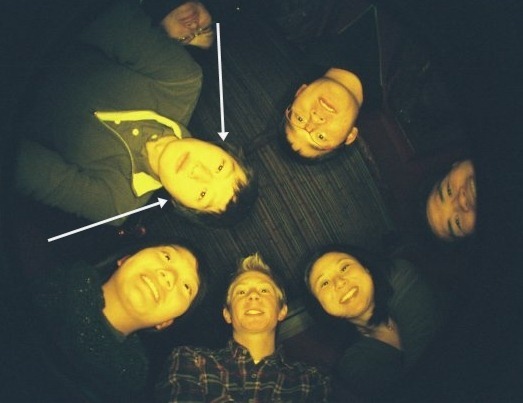 This will be my first time to Japan (but Micah has been there before when he was a kid). It’s going to be a REALLY short (but super fun) trip. We wanted to visit her before she goes back to the U.S. and we don’t get any holidays until Christmas Day – so a weekend trip it is.